In celebration of my 5th year blogging anniversary I have partnered with Ladyee Boutique to give away this fabulous scuba midi dress. Contest details will be posted on my Instagram post today (November 8th) at 10:35am. Scuba fabric made its emergence about 3/4 years ago, and has been popular ever since. The material is a double knit fabric that is made of fine polyester fibers. One of the main features of the fabric is that it creates a smooth full bodied drape. It also has a 4-way stretch which allows for great recovery. The smooth finish and full bodied detail of the scuba also know as neoprene makes it a great option for dresses , skirts, and details such as ruffles. Today’s outfit features this stunning dress. The elaborate sleeve detail is made possible due to the thickness of the fabric. 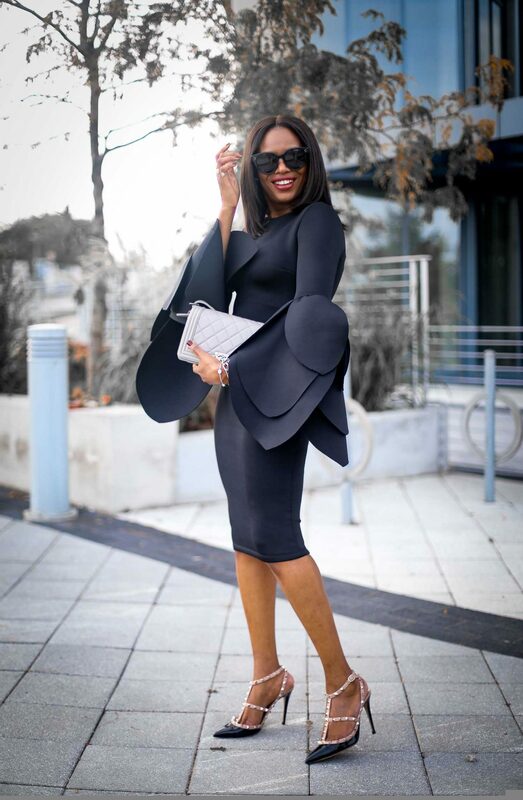 Another great attribute to this material is that it tends to create a smooth silhouette hence it is a popular option for body-con dresses like this one. Elaborate details are popular during the festive months. 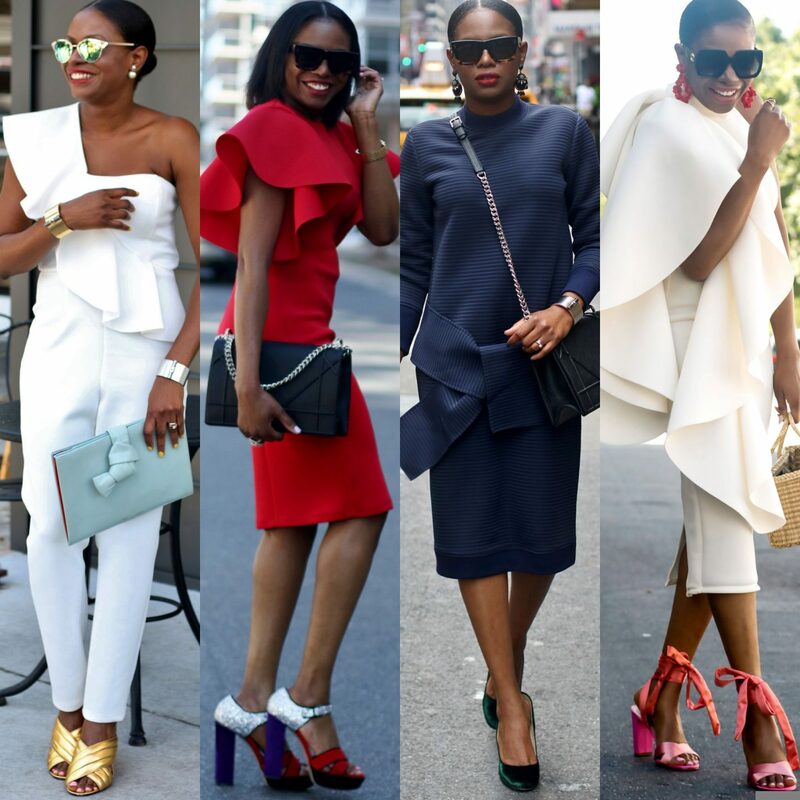 Hence dresses that feature exaggerated details such as bell sleeves and full skirt will feature the material. Classic accessories such as my shoes and bag complete the look, making it a great option for holiday festivities.